Does Titanium Dioxide Cause Free Radical Damage To Skin? In a followup to ongoing questions surrounding Titanium Dioxide and the EPA report on the safety of TiO2, it has also been a small concern for some in terms of titanium dioxide causing free radical damage, essentially prematurely aging the skin when exposed to UV light. So in order to elaborate in depth and to address this valid concern, we felt it was prudent to explain the differences and to show again, the theory and supported science that has shown Titanium Dioxide to have fantastic properties that not only refract UV Rays, but will also absorb them. 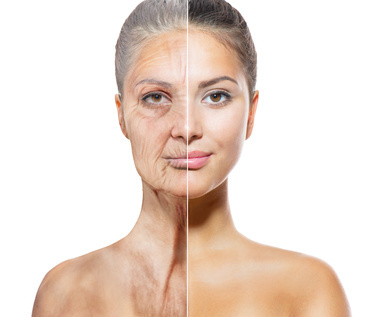 To preface the science that follows, damage and premature aging of our skin occurs more readily with zero sun protection or using harsh ingredients on our faces, and including but not limited to, environmental pollutants, which includes smoking. But what does this mean for the skin? The facts show that it's benefits also supersede other synthetic sun filters and is still the most popular mineral sun blocker next to zinc oxide among sun protection ingredients. Based on this fact of UV absorption with certain sunscreens and sun blockers, the distinction must also be made of the varying types of TiO2 so consumers don't avoid this ingredient based on half of the science or a possible misconception of the actual research. Many blogs or articles equate the problem with photocatalytic response (free radical damage) to nano size versus the supposedly safer standard micron size Titanium Dioxide, or they feel it is any version of TiO2, when this is actually not the case and the facts are slightly skewed. Therefore, a distinction needs to be made! Science surrounding this ingredient: anatase nano-TiO2 is more photocatalytic than the rutile form, and nanoscale rutile is less photoreactive than either anatase and rutile mixtures or anatase alone. Unfortunately, the hypothesized research is sometimes incomplete or is not vetted to the point of clarification on some of these broad terms within these very basic articles. Thankfully the EPA report has made the distinctions, including creating a better understanding of the exposure factors as related to rutile versus anatase and then their relation in terms of nano particles. Plus factors of a delivery system within different products are key to determining effects on the skin. According to the EPA Report: "Nano-TiO2 formulations of sunscreen have proven popular because they appear transparent on the skin; formulations using conventional TiO2 or other inorganics such as zinc oxide (ZnO) create a milky white appearance. Nano-TiO2 serves as a sunscreen in two ways, by absorption and scattering, depending on the wavelength of UV light. UV-B wavelengths are in the range of 290 to 320 nm and are primarily absorbed by nano-TiO2; UV-A wavelengths are in the range of 320 to 400 nm and are primarily scattered by nano-TiO2. Optimal scattering is thought to occur when the diameter of the particles is approximately half the wavelength of the light to be scattered. Conventional TiO2 absorbs and scatters UV radiation, making it an effective active ingredient in sunscreens. Like ZnO, TiO2 is a “physical blocker” of UV radiation, as opposed to many chemically active ingredients that serve as “chemical filters,” such as avobenzone and benzophenone, which in some individuals can cause adverse skin reactions, including blisters, itching, and rash. Thus, sunscreens containing physical blockers have long been an attractive option to those with sensitive skin. Apart from this niche market, the use of TiO2 in sunscreen was historically limited because of aesthetic considerations. Because conventional TiO2 scatters visible light, it remains visible as a white film when applied on skin. With the advance of technology to produce transparent nanoscale TiO2 particles, which scatter very little visible light and therefore appear transparent when applied on skin, nano-TiO2 has entered the mainstream as an active ingredient in sunscreens and has also been added to numerous other cosmetic products to provide UV protection. With exposure to UV radiation (wavelengths less than ~400 nm), pure anatase nano-TiO2 is photocatalytic. In sunscreen, however, photocatalysis is an undesirable property that can be addressed by applying surface treatments to the crystals, selecting a less photoreactive form (rutile), or adding antioxidant ingredients to the formula. Similarly, surface coatings of silicone and other compounds are used to decrease nano-TiO2 photoreactivity so that nano-TiO2 can be used to protect human skin from UV radiation. Europe, Australia, Canada, and South Korea also have approved the use of TiO2 as a UV filter in sunscreen with a maximum concentration of 25%. Japan does not regulate TiO2 as a UV filter in sunscreen." Unfortunately, product labels do not distinguish between Rutile and Anatase forms of Titanium Dioxide, (wikipedia) or whether or not they are coated or uncoated. However, there is one determining factor which can help to ease ones mind in this regard! Rutile is the most common and popular version readily available on the market and it has among the highest refractive indices of any known mineral and also exhibits high UV dispersion. It is also the most stable form, so odds are in your favor this is what you are using on your skin when applying sunscreen containing TiO2. When in doubt, you may try to contact the manufacturer and inquire as to the type of Titanium Dioxide they are using. To answer the question in terms of our mineral makeup: Rutile, conventional micron size, is the version of titanium dioxide we use in order to achieve the best coverage since nano versions are too sheer, and we supplement our powders with the use of methicone for increased skin protection as well. In terms of using mineral powders versus liquid sunscreens or liquid foundations, powders sit on top of the skin while liquids are absorbed into the surface layers. So as to the interpretation of the presented data, mineral powders appear to be less problematic in regard to any concern of aging the skin. However, to take it a step further, as was determined in the EPA report, the addition of surface treatments and antioxidants to the formula, have shown to work further at the skin level to fight free radical damage caused by the minimal oxidation process which occurs when UV light is absorbed by these excellent sun blockers applied to healthy skin. 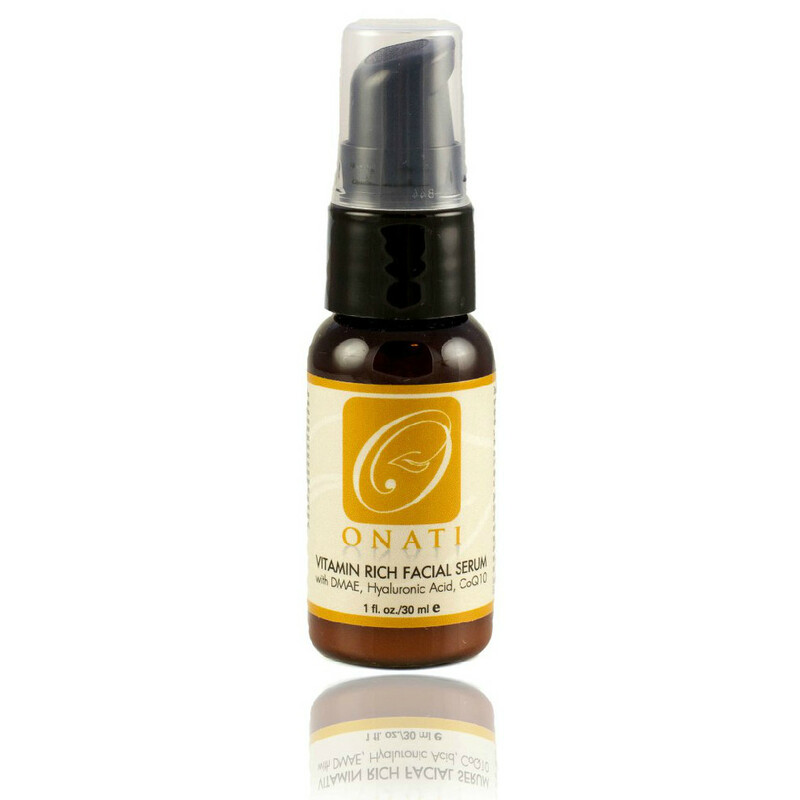 This is another reason we endorse always using one of our excellent ONATI moisturizers or our best selling facial serum which are all rich in antioxidants, prior to applying mineral makeup. The fact of the matter is, powders simply do sit atop the skin giving sun protection, whereas a moisturizer is the catalyst for dispersion and absorption of the antioxidants into the surface layer of the skin. This protects the skin from further damage and fights accelerated aging caused by the sun and airborne pollutants we are exposed to daily. The best antioxidants found in skincare or as a constituent of another ingredient, are Vitamin A, Vitamin C and Vitamin E. Jojoba oil is perfect for this, and just another reason it is included in our mineral makeup. It has antioxidant constituents of Vitamin C and E and is highly stable, even under extreme heat. It will also not go rancid since it is not a vegetable oil but a wax ester, and in fact is used as a carrier oil to stabilize other more volatile oils. Based on the evidence and the fact that sunscreens have the highest popularity of use when they include Titanium Dioxide and / or Zinc Oxide in their active ingredients, also found in natural products, this should further support the ideal of these two ingredients being the safest method of keeping the skin protected from the sun's UVA and UVB rays. This is also key since these "sun blocker" ingredients when utilized in combination, create the ultimate in broad spectrum sun protection. It is also important to note that the sun will cause far more radical damage on exposed skin than it will with the use of TiO2. This is only another example of the benefits far outweighing a concern for use, especially since it is subject to the type of titanium dioxide used and with the incorporation of surface treatments or antioxidants. Opinion Of The Scientific Committee On Consumer Safety In The EU You can go to page 102 for summary of conclusion in the interest of time. Does Your Mineral Makeup Contain Micronized Or Nano Sized Particles? Are Titanium Dioxide Or Zinc Oxide Minerals Or Chemicals? Part 1: Is Titanium Dioxide Safe In Mineral Makeup And Sunscreens?